LEXINGTON, Ky. (Jan. 24, 2019) — Are you too busy to find a way to be creative this new year? 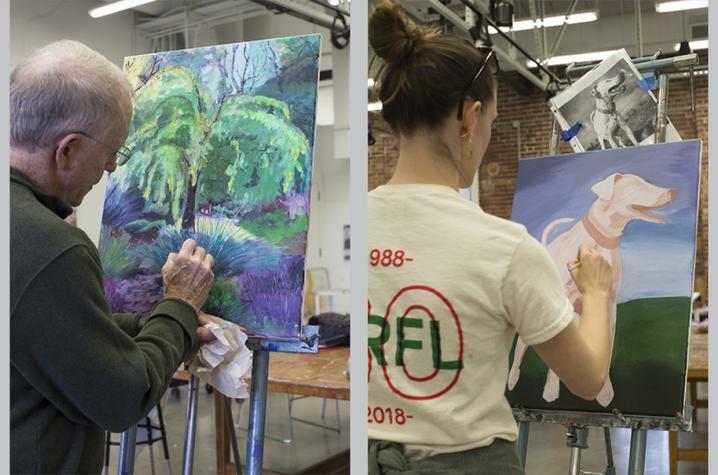 Find your creative spark this spring as the University of Kentucky Fine Arts Institute returns with classes and workshops designed for adults with busy schedules. These noncredit courses are offered as weekly classes and brief workshops. With beginner to advanced level courses and topics ranging from ceramics to floral design to woodworking, the institute offers something for everyone. Weekly courses typically meet three to 12 weeks while workshops normally run one to two days. Most courses will begin the week of Feb. 11 apart from a few courses, including the "Woodworking Joinery for Veterans" course, which begins Tuesday, Jan. 29. Courses will be held in the UK Art and Visual Studies Building; UK Metal Arts Building; and Dancin' Dogs Designs Studio, located at 228 Lisle Industrial Ave. in Lexington. "Taking Ceramics to the Next Level" with Coldiron, 6-9 p.m. Tuesdays, beginning Feb. 12. "Explorations in Drawing" with Christine Kuhn, 6-9 p.m. Tuesdays, beginning Feb. 19. "Weaving without a Loom" with Morgan Shipps, 6-9 p.m. Tuesdays, beginning Feb. 12. 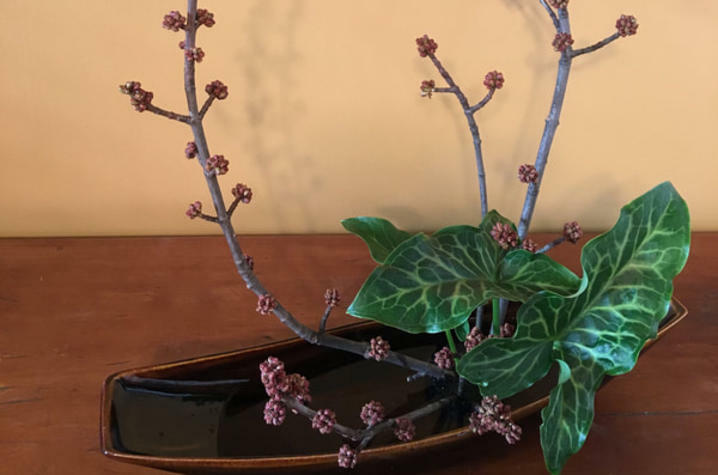 "Ikebana: Contemplative Flower Design" with Brooke Pohl, 6-8 p.m. Wednesdays, beginning March 20. 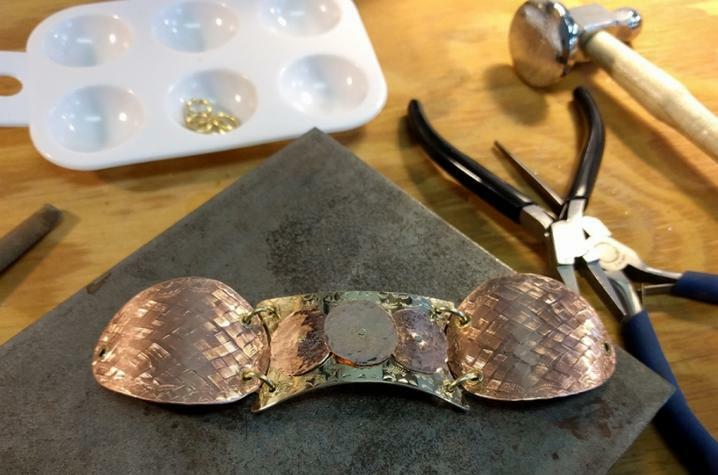 "Jewelry-Making for Beginners" with Dwayne Cobb, 6-9 p.m. Tuesdays, beginning Feb. 12. "Metalworking" with Jeremy Colbert, 6-9 p.m. Tuesdays, beginning Feb. 12. "Learn to Paint. Yes, You Can" with Kuhn, 6-9 p.m. Wednesdays, beginning Feb. 20. "Woodworking Joinery for Veterans" with Lynn Sweet, 6-9 p.m. Mondays, beginning Jan. 28. "One-Day Photoshop Crash Course" with Lennon Michalski, 10 a.m.-3 p.m. Saturday, April 6. 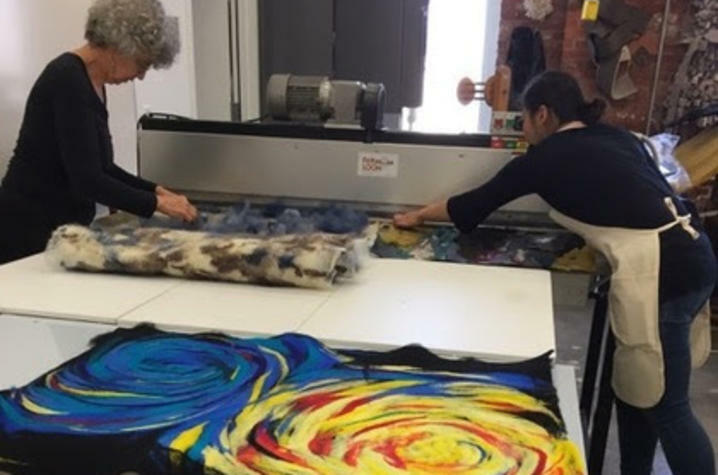 "The Art of Silk Dyeing" with Zabielski, 10 a.m.-noon Saturdays, April 6 and 13. "Ikebana: Contemplative Flower Design" (one day) with Brooke Pohl, 10 a.m.-4 p.m. Saturday, Feb. 23. "One-Day Digital Photography" with Michalski, 10 a.m.-3 p.m. Saturday, April 13. For more information on any of these classes and workshops or the instructors, including costs for each offering, visit the institute online at https://finearts.uky.edu/savs/fai or visit the institute's Facebook page. The Fine Arts Institute, an outreach program of the School of Art and Visual Studies at the UK College of Fine Arts, utilizes all the resources and classrooms that the school has to offer through these noncredit art classes. All courses and workshops are open to the public. Registration for UK Fine Arts Institute courses is available online at https://finearts.uky.edu/savs/fai/registration, by calling the institute at 859-218-5984, or by emailing Carey Gough at carey.gough@uky.edu.